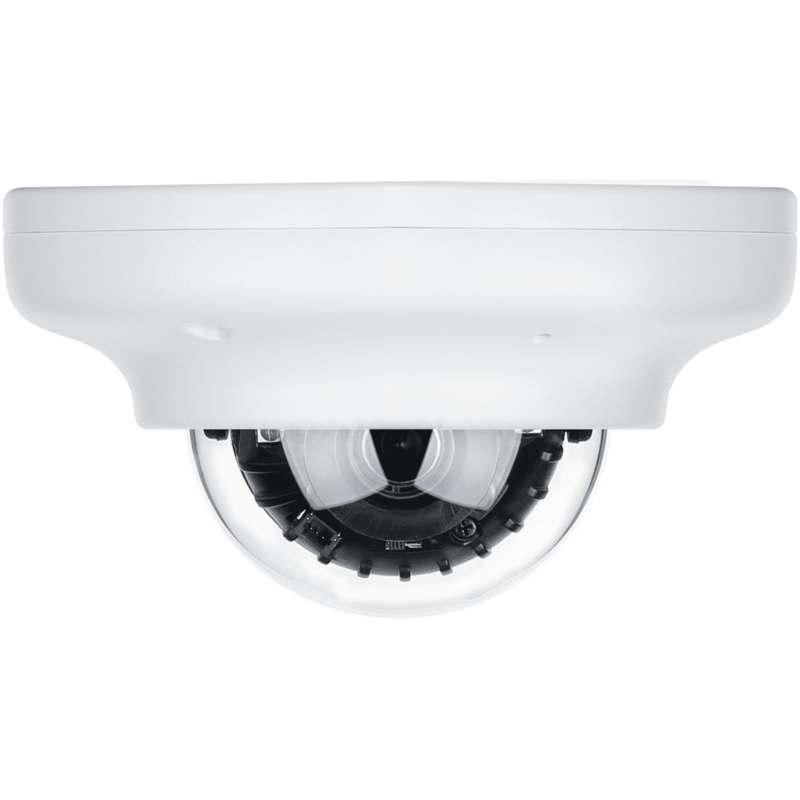 The Alarm.com ADC-V821 is a indoor/outdoor, mini-dome security camera designed specifically to work with the Alarm.com hosted video service. The ADC-V821 camera has a compact design and outstanding HD quality video that makes it ideal for both commercial and residential installation for the DIYer. The ADC-V821 features a vandal-resistant exterior casing with an IP66 rating and Power over Ethernet (PoE) capabilities. In addition to being waterproof, the ADC-V821 is also dust tight.